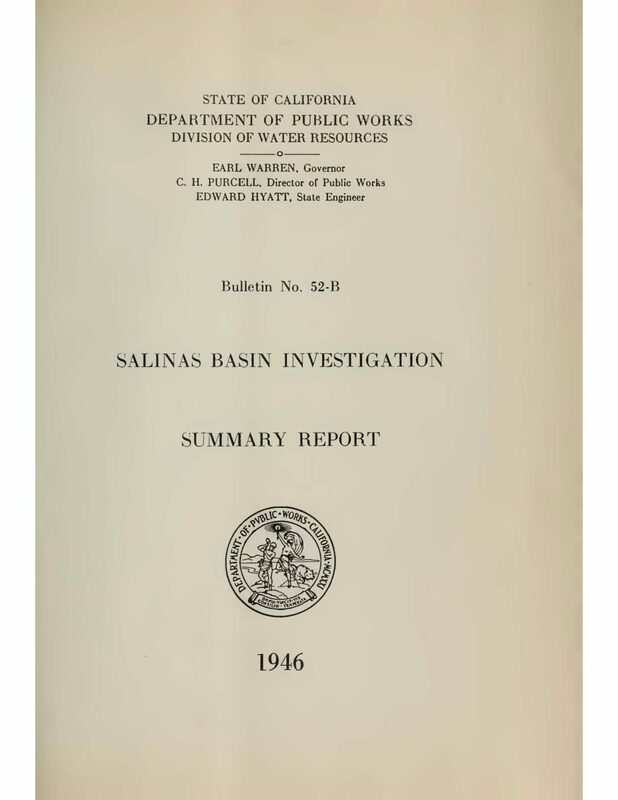 This report presents the findings, analysis, conclusions, and recommendations developed as part of an investigation to characterize the hydrogeology of the Arroyo Seco Cone area of the Salinas Valley. The purpose of this investigation is to assess the feasibility of developing a seasonal surface water spreading operation utilizing water diverted from the Arroyo Seco in order to enhance ground water recharge in the area. The goal of a project to store water in the ground for subsequent pumping and use is to increase the yield of the Salinas Basin. 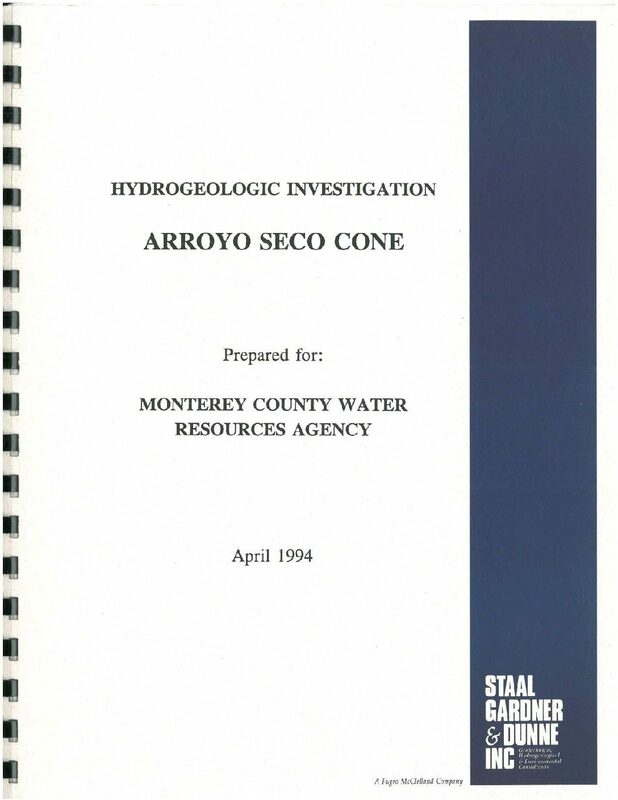 This investigation defines the hydrogeologic characteristics of the Arroyo Seco Cone area, characterizes the hydrology of the Arroyo Seco and the availability of divertable flows, and estimates the annual recharge that could be achieved through the development of spreading basins.